First of all - as always - GET AN EXPRESS PASS. Even if you are going on an off night you will not be able to get through all the houses and see all the shows without one. If you chose not to do that route than get a frequent fear pass and attend a couple of off-peak nights in order to see everything. If you go on a peak night without an express pass you deserve the 2+ hour waits for the houses that you are going to get. 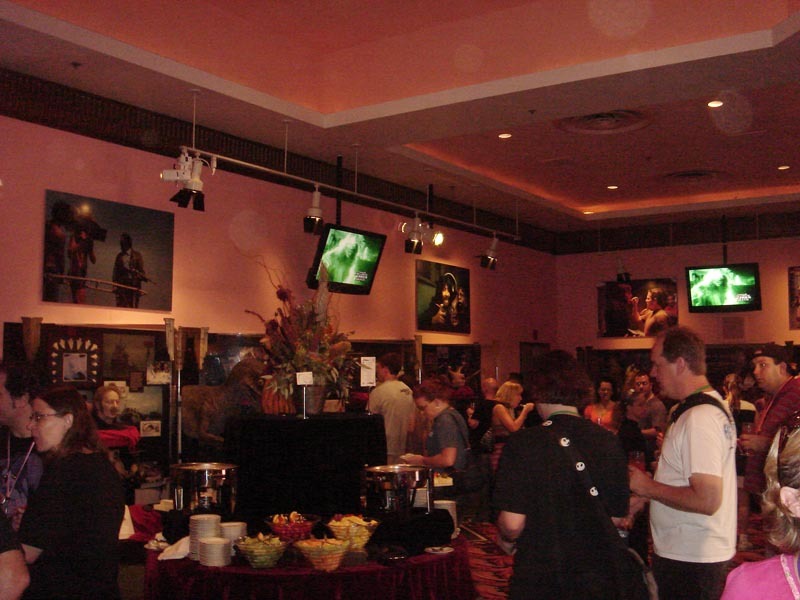 The movie theme worked well - although the icon was not very well integrated into the event. 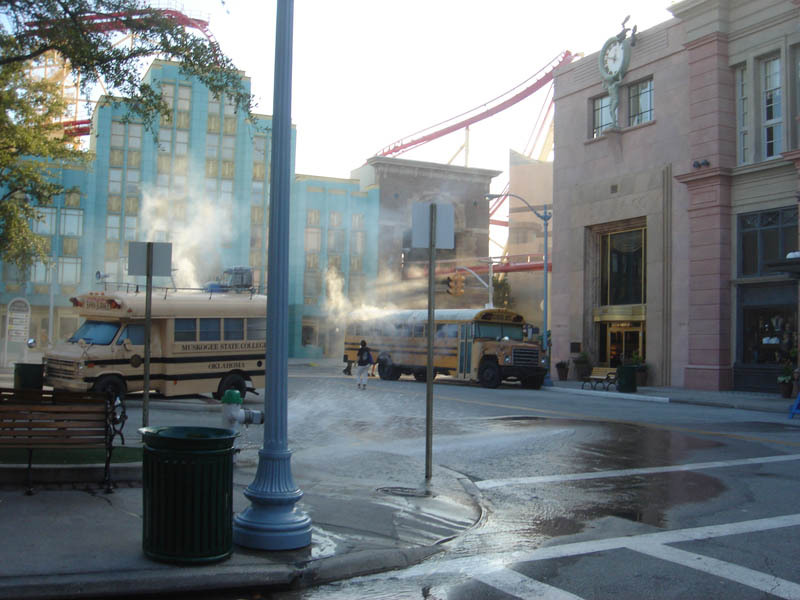 I think they wanted to promo the licensed movies a bit more and that kept them from using the Usher character that much in the park. Lights Camera Haction - Located in Hollywood in front of T2-3D, this had the chainsaw guys hacking up some of the production people on a film set. Simple yet it was funny and had some great scares. The best scare zone in the park that I experienced. 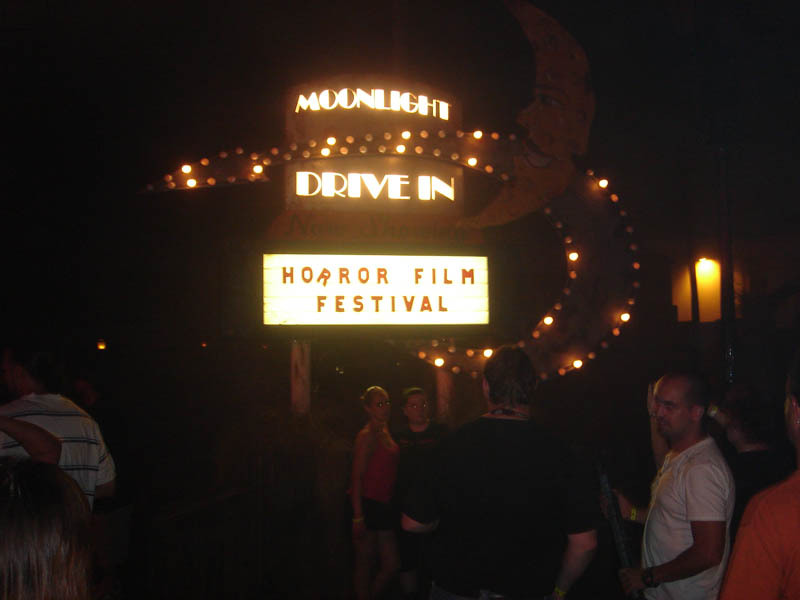 Horrorwood Drive In - Right in front of Mels drive in - very effective use of cars and distractions on the screen. Well themed and very compact. 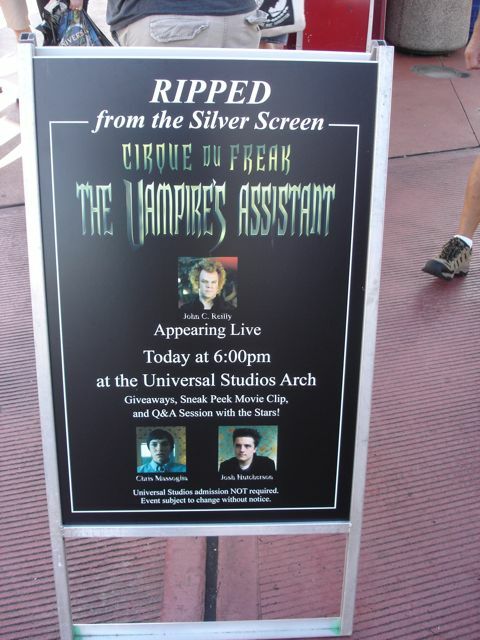 Cirque Du Freak - Feels like an afterthought. Located in a very small circular area in front of the Animal Actors Stage it basically is a meet and greet with the characters where they try and scare you. Pretty poorly conceived. Containment - OMG. Worst. Scarezone. EVER. Like - I can't think of a worse one in the last 10 years bad. Basically inflatable "things" that make an arch over the walkway and there are a few scaractors and smoke machines.... wow. 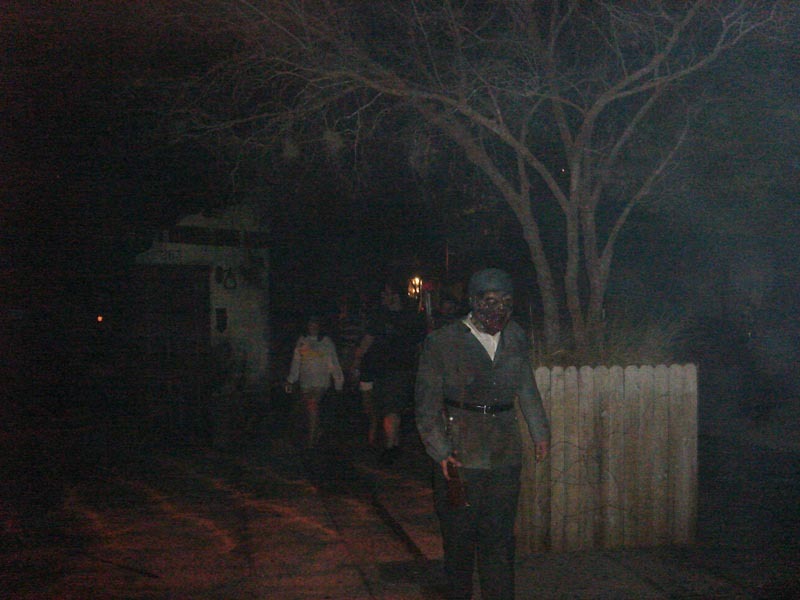 Unfortunatly the first scarezone most folks in the park walk through and not a good first impression. Apocolypse and War of the Living Dead - Didn't really walk through them enough to give an accurate opinion. Silver Screams - This is the icons house and he takes you though some of his favorite movies. This one is located in the "shed" type building behind barney that was built a few years ago. Fun concept that was OK in execution. It didn't really give you enough time to enjoy any of the scenes so it felt a bit disjointed. Chucky - Not bad..the full size chuckys were a bit impressive but the house lacked any real scares since it was SO bright inside. Saw - By far one of the best houses of the night. VERY true to the movies, great FX and a few good scares. Wait is out of control since it is in the Jaws queue which is a low capacity house anyways. Hit this one early in the night unless you want a 75 minute wait. Frankenstein - VERY cool and pretty inside this soundstage house. This is a much darker version of Frankenstein than we are used to. Lots of scares and some tight quarters - very steampunk looking. Dracula - Probably the best house of the night - even though I think we missed some of the scares due to a set change out. Perfectly gothic with perfectly timed scares throughout. Jumped quite a few times! 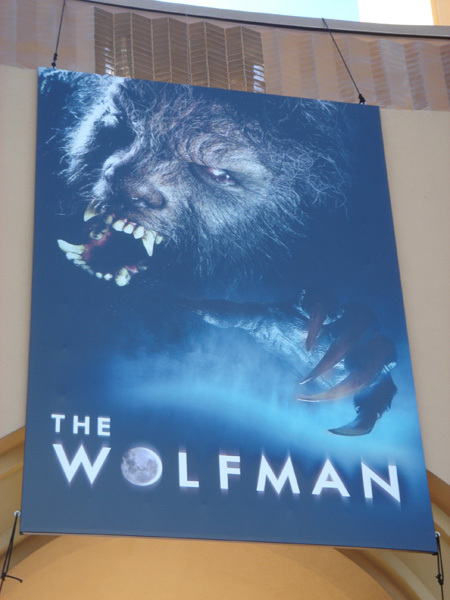 The Wolfman - UGH. What a waste! Perhaps it would make sense if the movie had come out and folks had seen it. Right now it seems like a very confusing mix of rooms and stories with no apparent thing to tie them together besides an occasional wolf jumping out. No real scares... lame lame lame. Bill and Ted It starts of a bit slow with an oddly chosen land of the lost theme but it picks up steam pretty rapidly and the star trek segment near the end is one of the best the show has ever had. 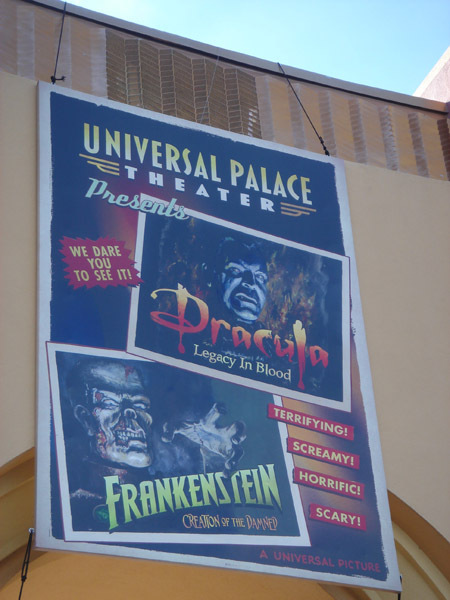 Overall You can tell they cut some corners this year - only 3 rides open (mib, mummy and simpsons) and not many scareactors on the streets. Overall though the houses were quite fun and continued the great tradition of detailed set design, amazing costumes and great lighting and f/x. 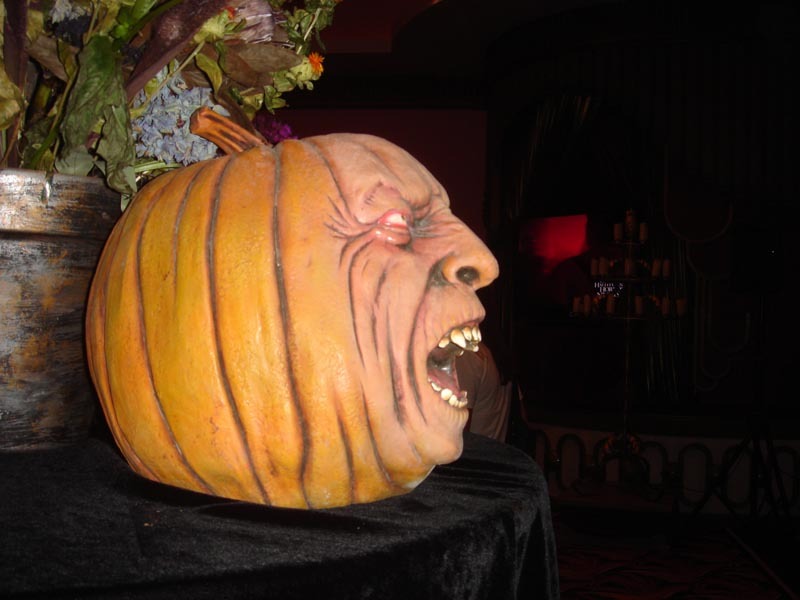 It really is the best Halloween event in the country. 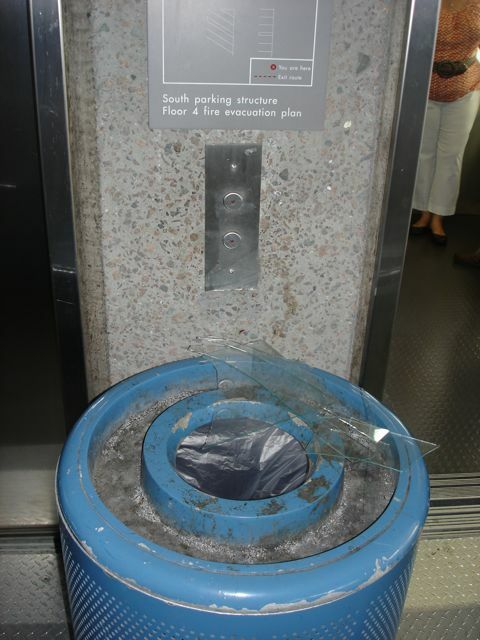 Welcome to Universal Orlando - Please grab a shard of glass after you park your car. The merchandise this year leans heavily to Saw and Chucky. It's John C. Riley and some random emo teens! Entrance is kind of "meh" this year. 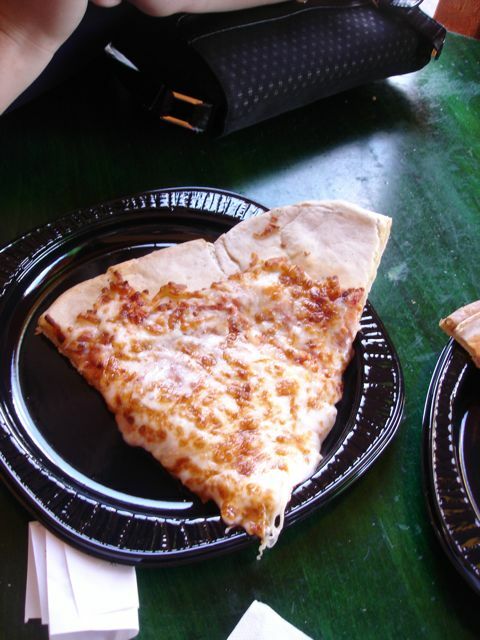 This is Containment.. the WORST SCAREZONE EVER! Lights, Camera, Haction was pretty fun. Chainsaws vs. Production Assistants = Fun! Christian Bale: "Do you want me to go ----ing trash your lights? Do you want me to ---ing trash them? Then why are you trashing my scene? You do it one more ----ing time and I ain't walking on this set if you're still hired. I'm ---ing serious." CTU Agent wrote: Thanks for the reviews and photos. From all the reviews I've read so far, I definitely think that I'm going to enjoy this year more than the last one. I was not a fan of the fairy tale theme, but I love the movie theme and it seems like it has been executed very well. 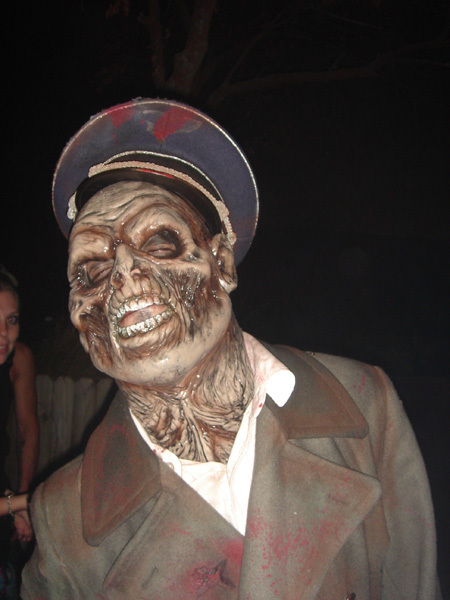 Going to go see "Dead Snow" tonight - the film that 'War of the Living Dead' was based on. Oh all the Nazi Zombies?! Hahaha, nice! 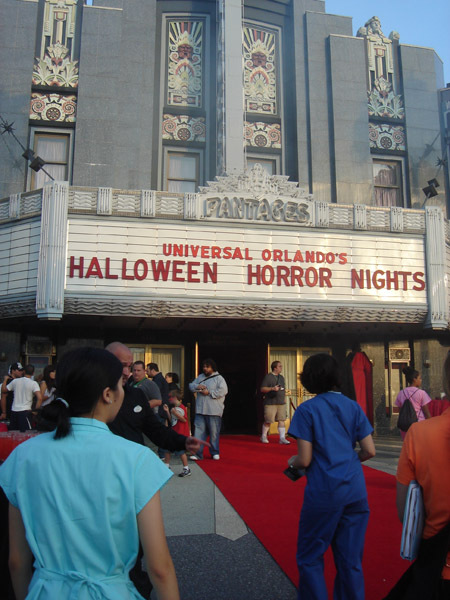 Every year I always look forward to attending Halloween Horror Nights. This year it was a special milestone event for me, it was my 15th event year attending. Over the years the events start to blur into each other. Not that they aren’t good, but it gets hard to remember which house/scare zone went with which year. Over the years some do stand out in my mind, like my first house back in 94’. You always remember your first house, I was 19 and with a bunch of my friends. We went through the Psycho Path Maze. 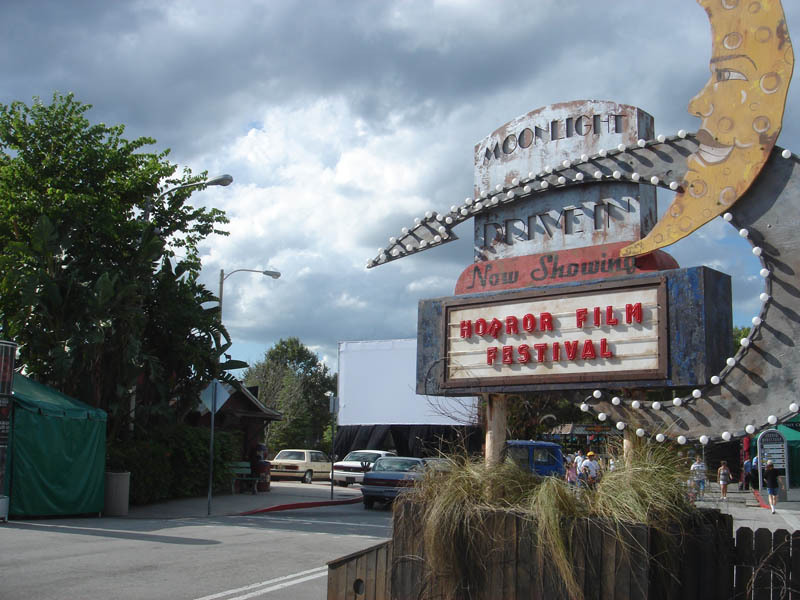 We queued up in front of the old Bates motel and then headed into the house built behind the now gone Psycho House façade where Woodpecker’s Nuthouse Coaster now stands. From the moment walking into the Bates Motel lobby and Norman slamming down a butcher knife on the front desk screaming “GET OUT!” We knew this was going to be a night full of screams. Over the years a few more memories come to mind, like my first scare zone: The Midway of the Bizarre in Amity. The little monster creature biting a eyelid as part of the Frightmares theme in 1997. Bill Clinton, Monica and Hillary and rest of the Bill & Ted cast performing “You’re the One That I Want” from the movie Grease. Trying to find our way out of a room with the walls caving-in, in the Dungeon of Terror. Or when “Neo” from the Matrix flew over the audience in Bill & Ted and then found his “Ted” twin. Running scared sh#tless through the Terror Mines with just one source of light on our leader of the group’s helmet light. Being trapped in a room full of Micheal Myers in the The Director’s All Nite Die Inn at Islands of Adventure. Having Jack spray the boat with a giant firehose in the boathouse on Jaws. Experiencing and being amazed by the bungee effect of a flying vampire in Castle Vampre for the first time. Always being blown away by the massive detail that goes into the sets for the houses. I have experienced the event in the super hot normal Florida mid-90’s weather, through 2 tropical storms and every once in awhile a nice low humidity night when it actually feels like fall! And then there are the memorable icons from The Crypt Keeper, Jack, The Caretaker to the Director. All the events are fun, some years stronger than others but I always have a good time. 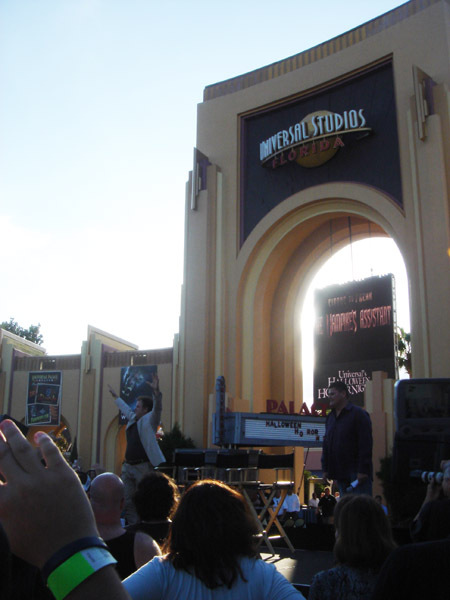 Last night I had a very special treat: along with Erik and Adam, we were invited to attend the Media Night/Kick off for this year’s event: Halloween Horror Nights: Ripped from the Screen”. Ripped From The Screen places you in some of the most terrifying scenes from motion picture history. 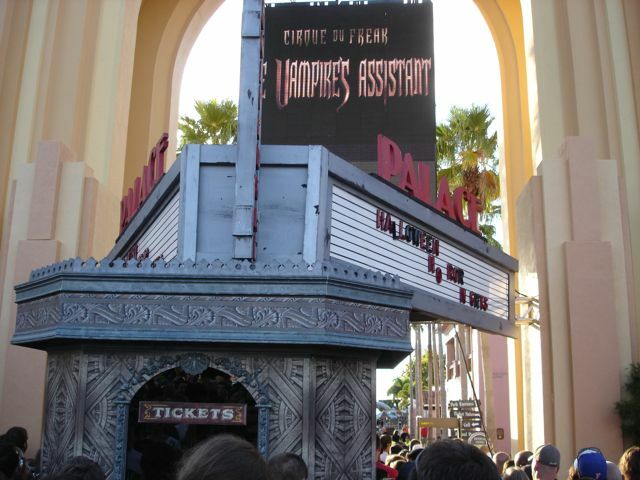 The icon for this year is a movie ticket usher who once worked at the Universal Palace Theater. 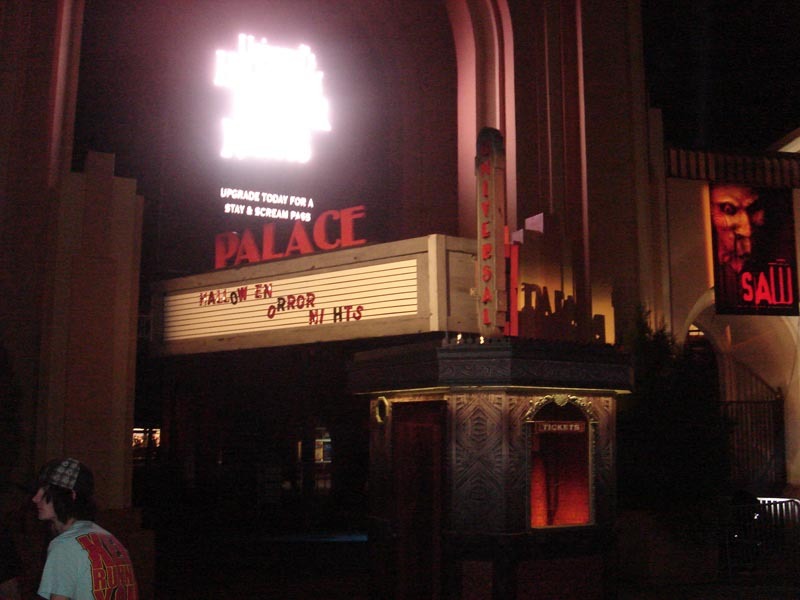 When approaching the entrance plaza for the Studios you immediately notice the theater entrance and marquee. 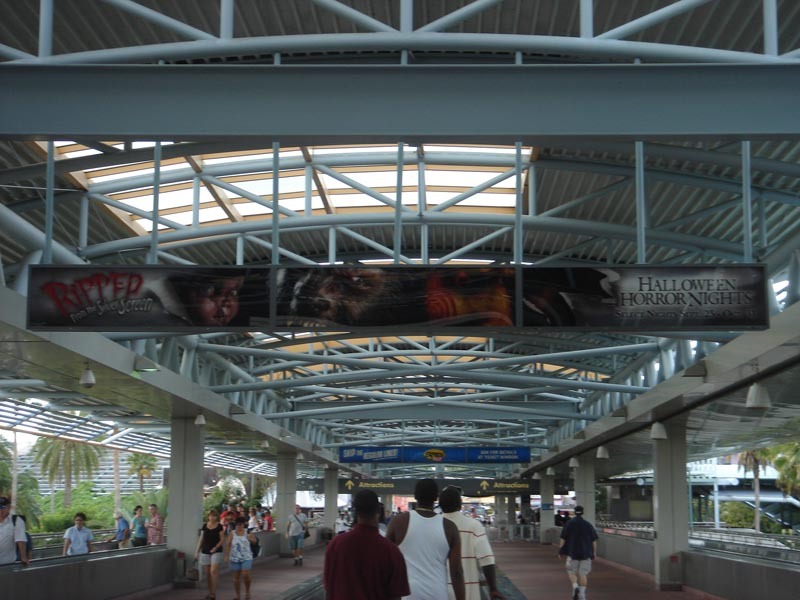 Movie posters that feature characters from this year’s houses are decorated in each of the surrounding arches. 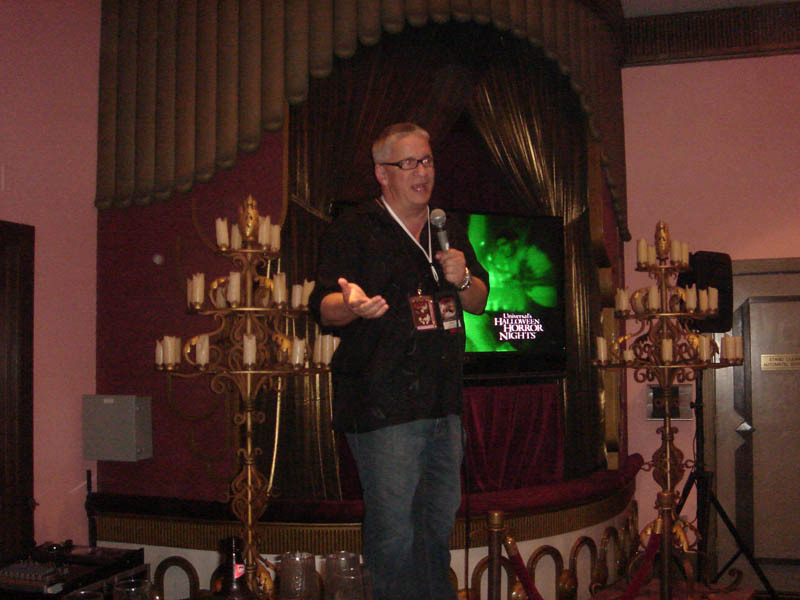 We started with a Q&A at the front entrance with Michael Roddy, the show director for HHN. 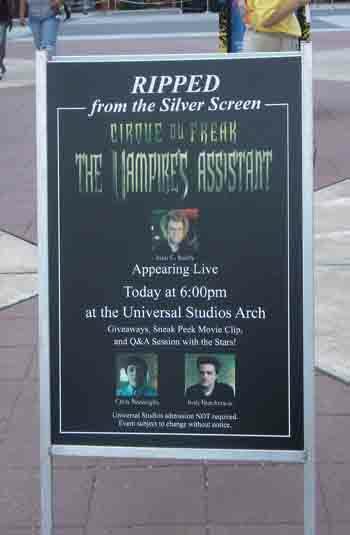 After some trivia, Michael brought out actors John C. Reilly, Chris Massoglia and Josh Hutcherson stars of the upcoming Universal film, “Cirque Du Freak: The Vampire’s Assistant”. It was exciting, I wanted to shout out to “Broc Landers”, Dirk Digler’s wing man, but I resisted. 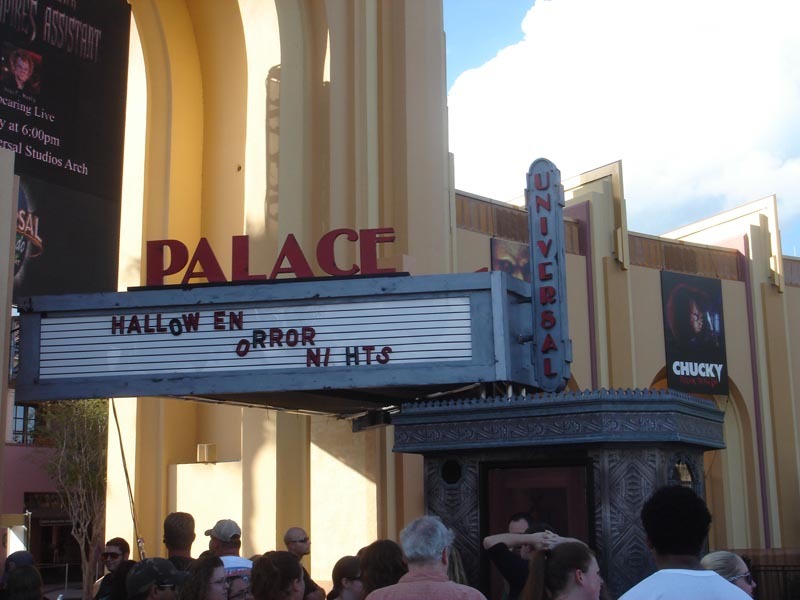 After seeing a sneak peek of the new film (opens October 23rd) and some Q&A, HHN officially kicked off. Erik was happy about his free movie poster. 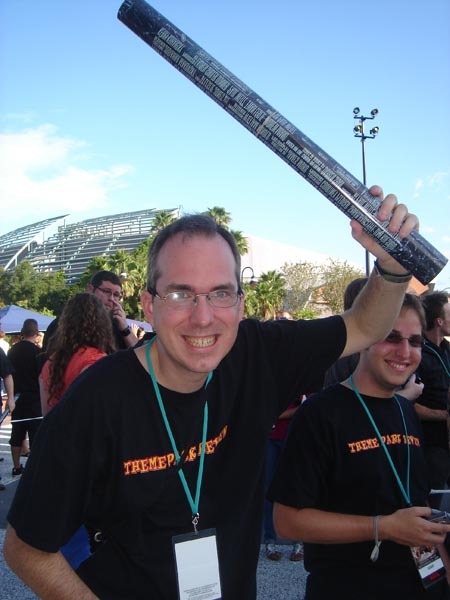 HHN Show Director, Michael Roddy. 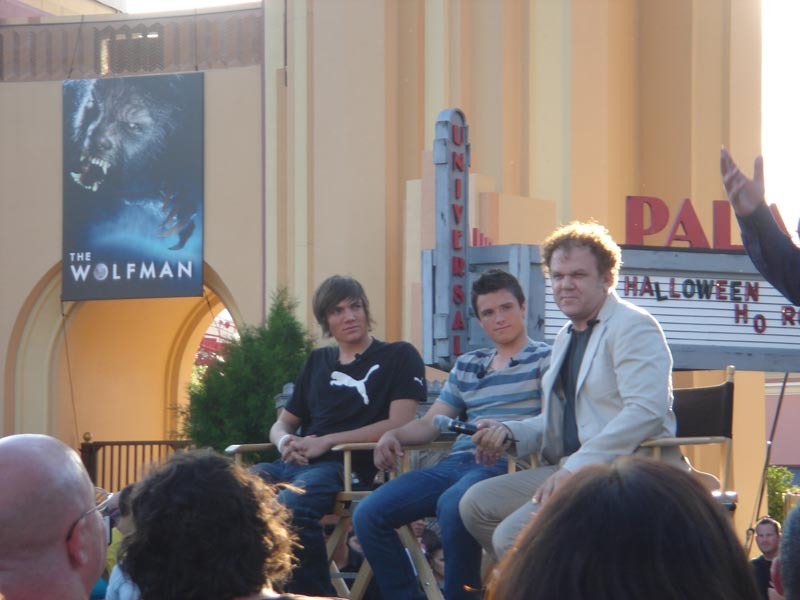 Actors John C. Reilly, Chris Massoglia and Josh Hutcherson stars of the upcoming Universal film, “Cirque Du Freak: The Vampire’s Assistant”. 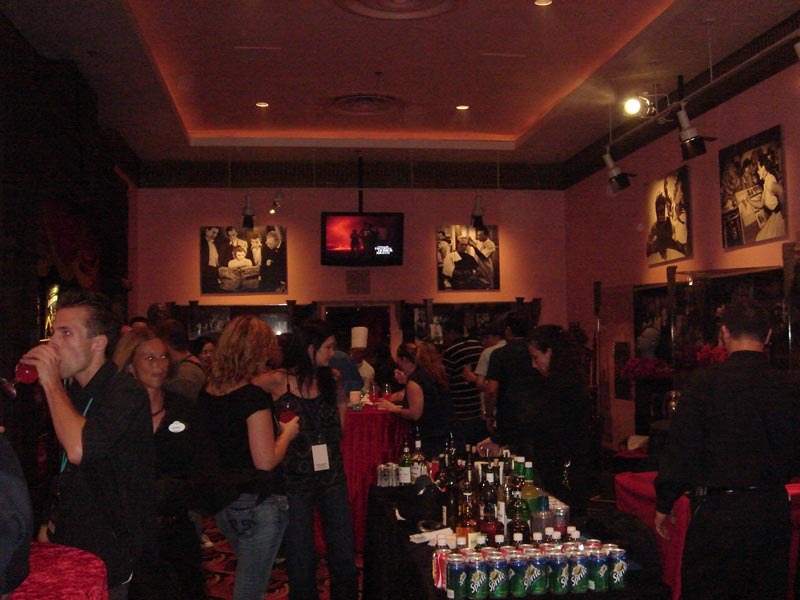 We were led to our “RIP” party at the Horror Make Up Show theater lobby. They really rolled out the red carpet for this event. 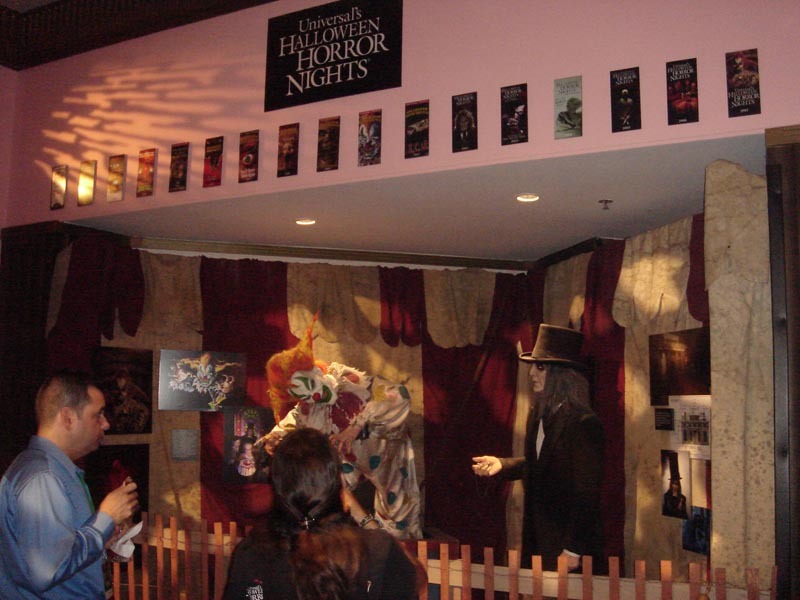 A perfect setting to host in, the lobby features many artifacts from a gazillion classic Universal horror films. The party was great: 4 food stations and 2 open bars were all top notch. Got to meet with some of the creators of the event including Michael Roddy the show director and the creator of Jack, just to name a few. Also spoke with Kim Grommel the creator of past scare zones like “The Skool” and this year’s Horrorwood Drive Inn”. Kim gave us a great tidbit: there is a new small indie movie called “Scare Zone” that will be either in theaters or on DVD soon that was filmed in last year’s “Body Collectors” house. So be on the look out for it. 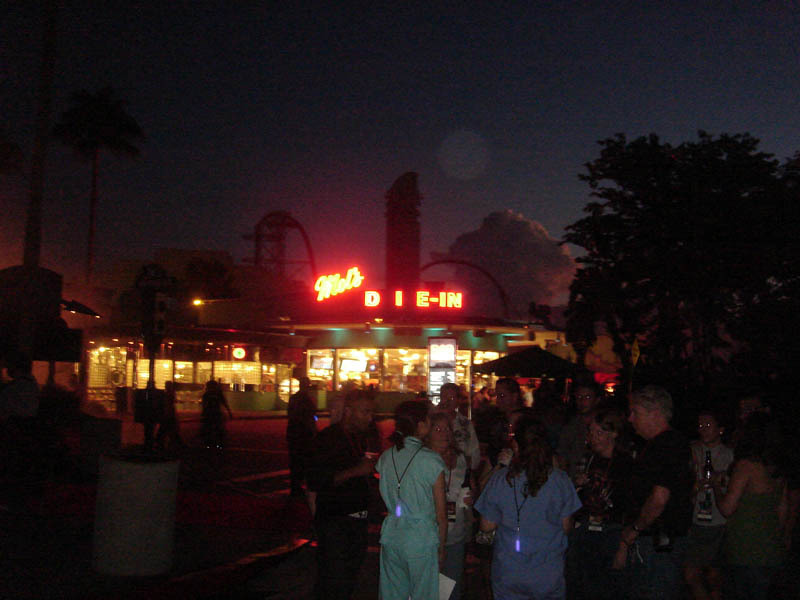 Another little tidbit: did you know it takes over 1,000 cast members make HHN happen? I believe it! 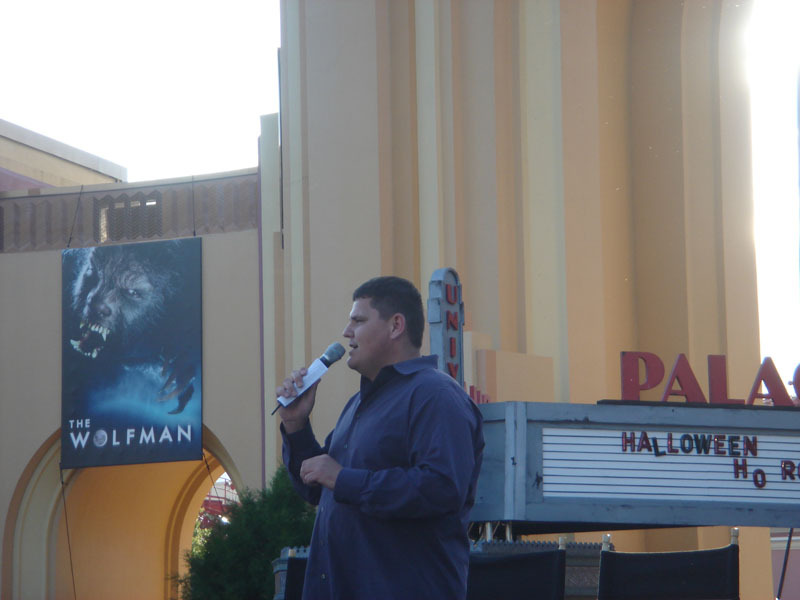 After a welcome by Chris Thomas, the VP of Universal Entertainment, we were sent off on our “RIP” private tour of the event. 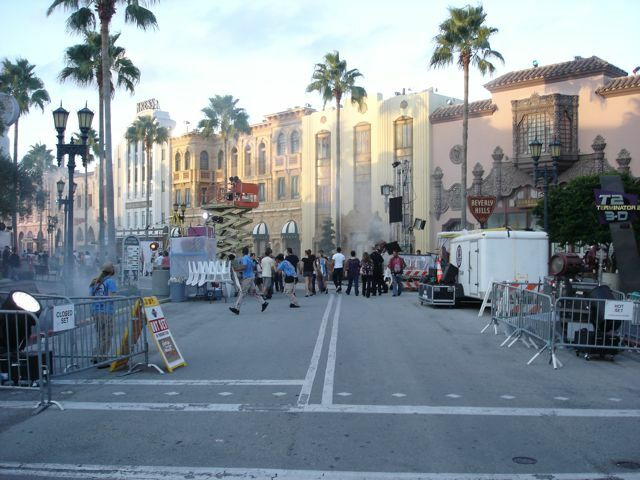 Led by our great tour guide, Ethan, we hit the monster-filled streets of Universal Studios Florida. 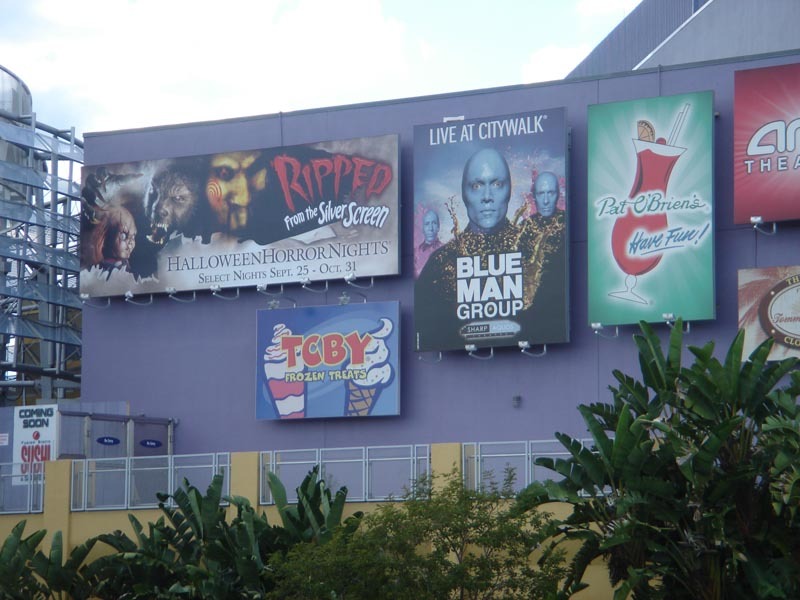 Tribute to past Halloween Horror Nights. 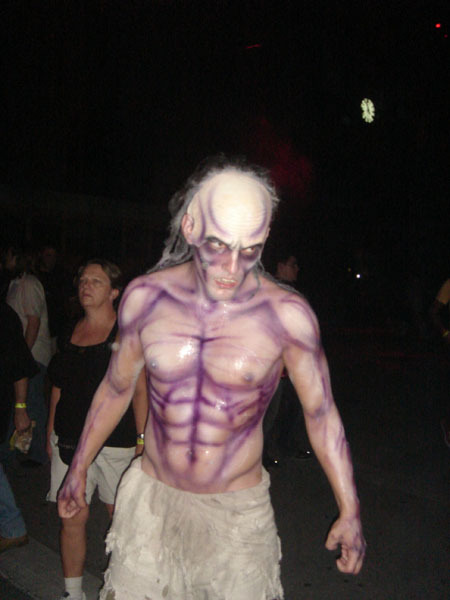 T.J. Mannarino one of the creators of HHN. 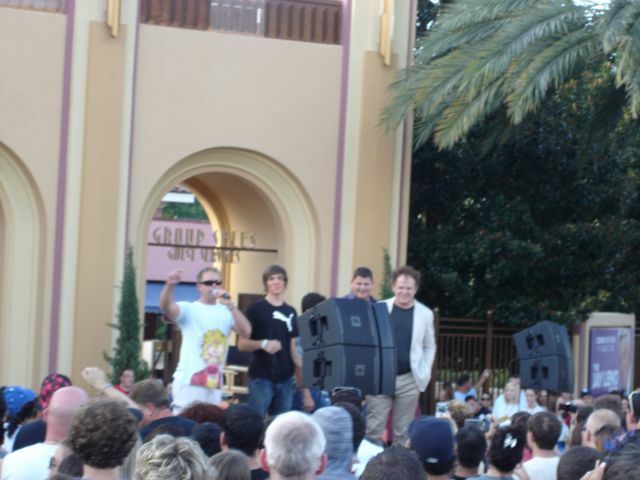 Chris Thomas, the VP of Universal Entertainment. This year’s 8 haunted houses were all around solid good houses. Many years there are great houses but there always seem to be a clunker. But this year I thoroughly enjoyed them all. I feel I can’t really give a good/fair review of any of the scarezones from my visit. 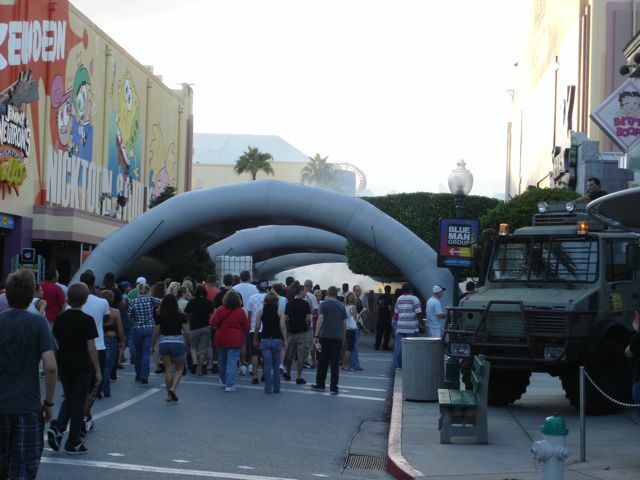 When we started the RIP tour it was still daylight so the scare zones aren’t that effective. By the time we went through them, it was the end of the night so I was extremely tired. I will say I liked the overall feel for most of them. The Horrorwood Die-In was good, (be sure to visit the snack bar!) I really enjoyed the Apocalalypse scarezone: The actors were doing a great job there. I think I would need to experience the other scare zones in the dark, first thing coming into the park. I think they would have left a lasting stronger effect on me. 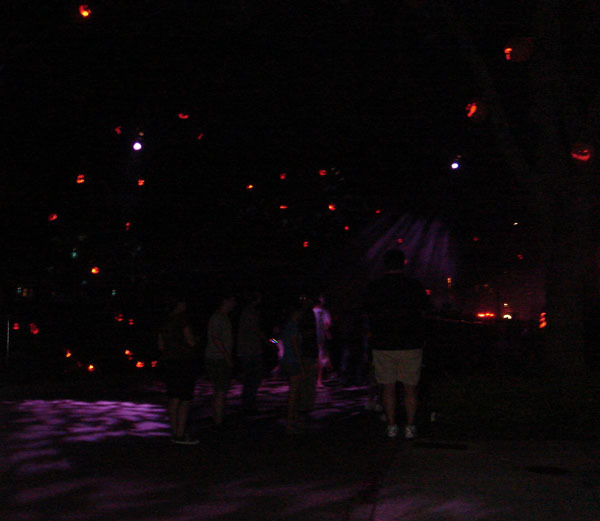 Big plus for bringing back the jack-o-lanterns in the trees by Café LaBamba, it is one of my favorite areas from last year and this year. Bumped into some old friends, Reed and Stacy! War of the Living Dead scare zone. Bill & Ted’s Excellent Halloween Adventure – I’m a fan of this show. 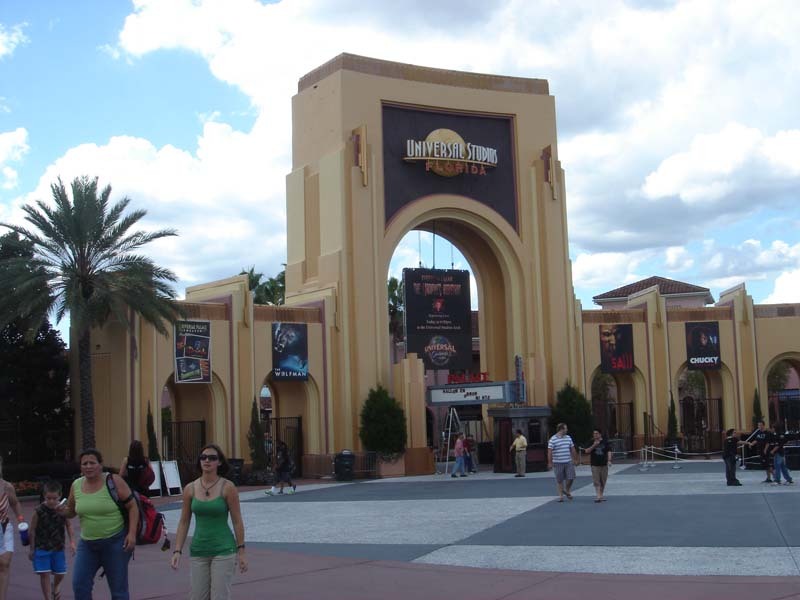 It’s part of HHN history and a tradition. Usually this a major highlight. But I think maybe this year it just wasn’t the best in my opinion story-wise. All of the performers did a great job dancing. They danced their asses off for the big finale number which I think made up for the rest of the story line. And considering it was like in the low 90’s with agazillion % humidity, I don’t know how they didn’t pass out. 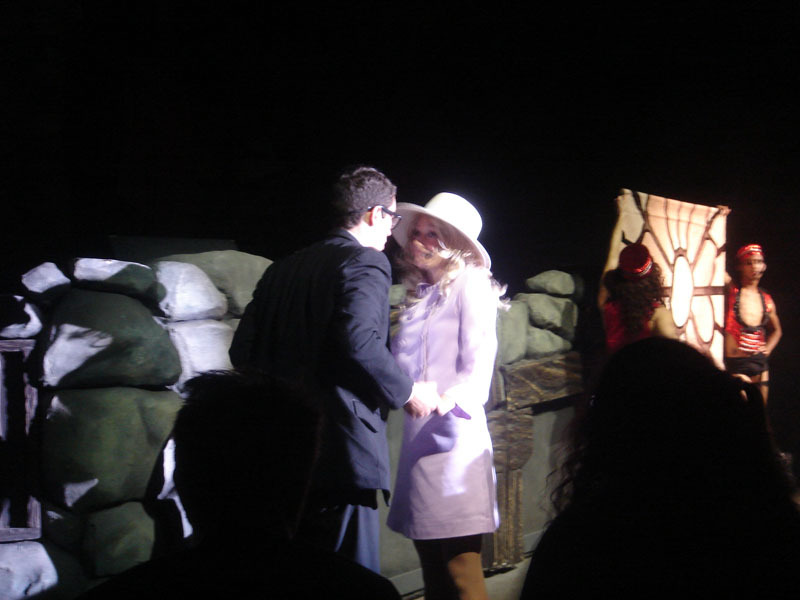 I don’t know if it was the audience’s lack of enthusiasm for the show, (usually everyone cheers and is pretty rowdy). Maybe everyone was sober and not drinking as much as in years past. But this year's show just didn’t seem to capture the audience as usual. I did think the MJ tribute was kind of cool. I think I might have finally hit an age where I can’t relate to as much of the pop culture as in past shows. So yes I’m too old! The Rocky Horror Picture Show Tribute – This was a gem I experienced last year for the first time. This was so much fun. The performers did a fantastic job singing and dancing. The audience as like if you ever see the movie in theater, was on fire. They really interacted with the stage, and the performers gave it right back! And plus everyone is half naked! Thanks again to Robb for having us attend this fantastic event. Erik and Adam it was fun hanging out. 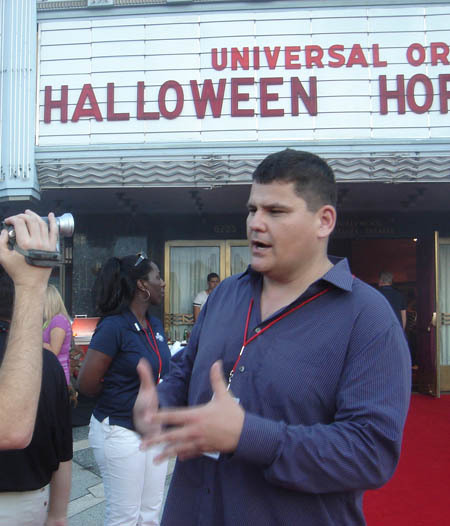 Thanks to all of the Universal staff for making us feel so welcome and the creators of HHN for giving me a great appreciation of what goes into my favorite event of the year! Another great event, can’t even imagine what next year’s 20th anniversary has in store! Thanks for reading and enjoy the Halloween season! 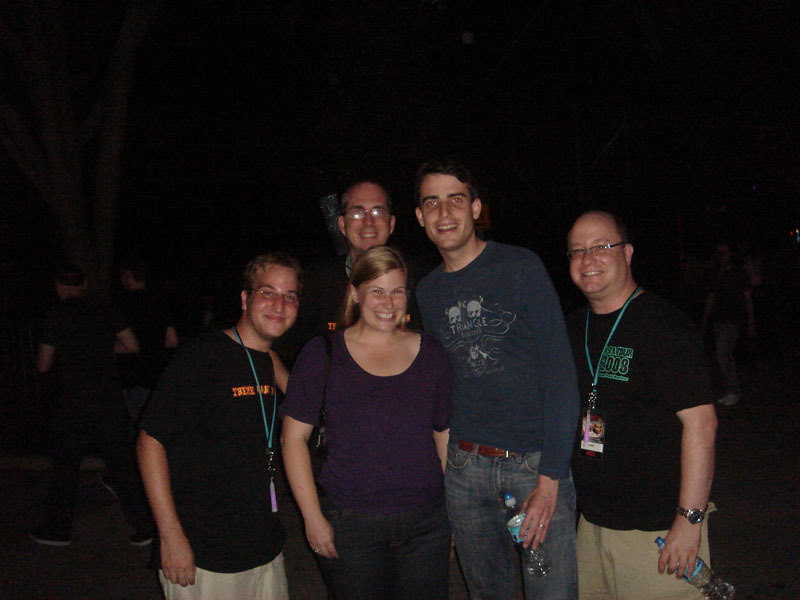 We ended the evening watching an interview session with a Fangoria radio station and some of the HHN creators. Including Doug Jones, known for rolls in the movie Pan's Labyrinth and one of my favorites, as one of the Gentlemen in the classic Buffy The Vampire Slayer episode "Hush". 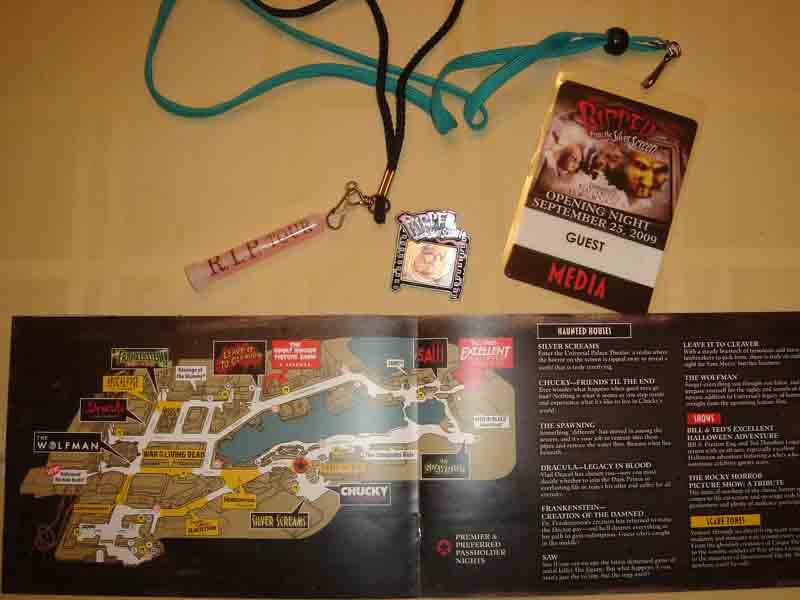 One final photo: a map of the event, our media badges and one of the 2 HHN pins. That's it from me - until next year! Scroll down for more photos and a video from Erik. The drive-in scarezone sound particularly cool.